If you're looking for top quality trampoline accessories in the UK, then you have come to the right place. Here at Trampolines Online, we have an extraordinary range of trampoline accessories which will protect, clean and cover your trampoline also they are from well-known trampoline brands across the UK. These brands include Jumpking, Telstar and Nissen UK. The importance of protecting your trampoline is essential. For instance, trampolines can get damaged quite easily due to bad weather or UV rays from the sun. This is not ideal for you as trampolines are quite expensive and replacing one is a hell of a job! Well, luckily for you, we have a fantastic range of trampoline accessories which will protect your trampoline no matter what the weather is. Another important factor of protecting your trampoline is to always keep it clean. After time, a trampoline starts to become dusty and may collect outdoor debris. The best way to avoid these issues is to clean the trampoline on a regular basis. We have a Trampoline Mat and Pad Cleaner which is perfect for keeping your trampoline in tip top condition, it gets rid of any dust, grime scale and debris with just one spray! All of our accessories are made from the finest quality materials, so take your time and have a look at our wide selection of trampoline accessories. Here at Trampolines Online, we strive to keep all of our customers happy through our products and we strongly suggest that buying our UK trampoline accessories will benefit your trampoline. If you would like to purchase one of our accessories today, call us on 0333 3660062 and one of our trained staff members will be more than happy to help you. 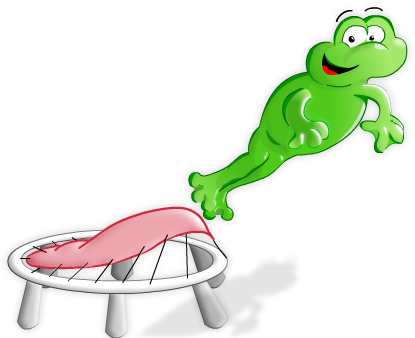 As Trampolines Online are one of the best suppliers of trampolines for sale.